The English premier League is one of the best leagues in the world - boasting of top class players since inception till date. It has witnessed its fair share of exceptional players who excite and thrill fans with their ability to constantly find the back of the net. Theses five legends have left their permanent mark on the beautiful game in England, and most of them are household names in the soccer fraternity. Needless to say Henry was one of Arsenal's deadliest strikers having figured out how to manoeuvre most defenders and easily beat the keeper. The Monaco manager has 175 Premier league goals to his name in 258 appearances for the North London club. Lampard was one of the best at Stamford Bridge in his prime and stayed in the club for over a decade. The Derby County boss was always at the right place at the right time and seemed to have a knack at goal. The former Manchester United star played for over seven premier league clubs and scored. Cole bagged over 187 Premier League goals in 414 appearances. The five-time Premier League winner's partnership with Dwight York unleashed a torrent of goals for United. 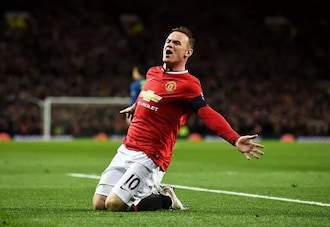 The ex-Red Devils player who currently plies his trade in USA's Major League Soccer club DC United scored over 208 goals in 491 appearances for Everton and Manchester United. Rooney's skill backed up by his hunger to win, made him one of England's finest finishers. Newcastle United legend Alan Shearer sits at the top with an impressive 260 goals in 441 appearances in the Premier League.